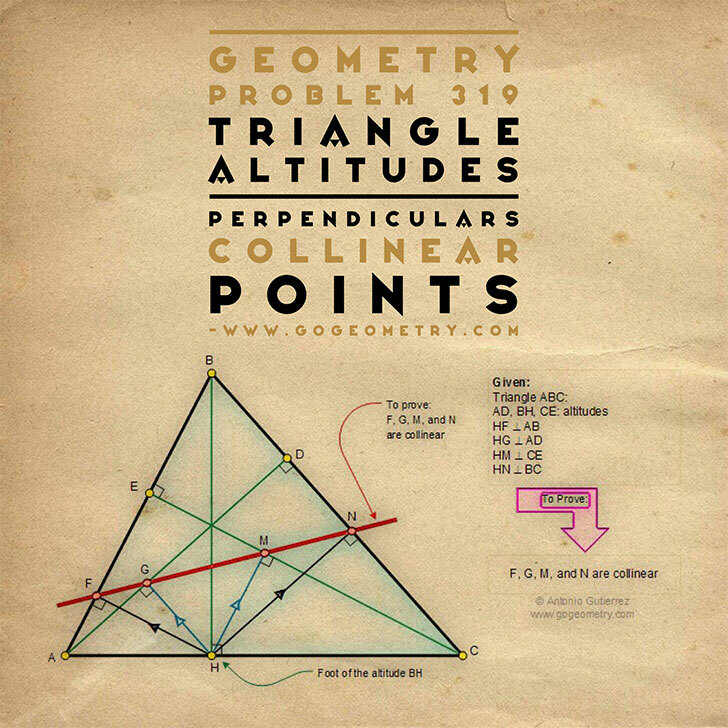 Geometry Problem 319: Triangle, Altitudes, Perpendiculars, Collinear points. Geometry classes. Elearning. The figure shows a triangle ABC and the altitudes AD, BH, and CE. HF is perpendicular to AB, HG perpendicular to AD, HM perpendicular to CE, and HN perpendicular to BC. Proved that F, G, M, and N are collinear. View or Post a solution.